In Peterborough, UK in 2013 the bodies of three men had been found. All of the victims had been stabbed and dumped in ditches. The murders were committed by Joanna Dennehy. After these murders she went on to attempt to kill two more men, strangers who she did not know and picked at random while driving around. From what is known Joanna had a relatively normal and happy childhood. It was apparently when she got to her teenage years that the problems began. Joanna gave birth to the first of her two children when she was 17. She went on to have another child, but the relationship broke down. According to her ex partner this was due to Joanna's drinking and violent outbursts. He ended up with full custody of their children. 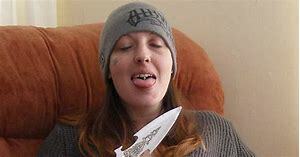 Joanna Dennehy killed three people and attempted to kill two more. She targeted only men and had help from a couple of men she had under her spell. The main person who helped her was a man called Gary Stretch, who seemed to be in love with Joanna. Over the space of a month Dennehy murdered Kevin Lee, John Chapman and Lukasz Slaboszewski. Following the three murders Joanna randomly stabbed two men who she didn't know and for absolutely no reason, the men survived their attacks. Kevin Lee, 48 - Kevin met Joanna when she was released from prison. He was a landlord and often rented properties to troubled people. Joanna became a kind of enforcer for Kevin, intimidating people who weren't paying rent etc. Kevin's body was discovered in March 2013, he had been dressed in a black sequined dress before his body had been dumped. Lukasz Slaboszewski, 31 - Lukasz was from Poland and unfortunately met up with Joanna. His body was found on 3rd April. He had been stabbed and his body dumped. John Chapman, 56 - John was Joanna's housemate, he was a troubled soul but people who knew him say he was harmless. His body was also discovered on 3rd April he died from stab wounds as well. Joanna Dennehy pled guilty to three murders and two attempted murders. She was sentenced to life in prison, in February 2014. The judge said she should never be released. While in prison an escape plan was found in her diary, because of this she was in solitary confinement for two years. Gary Stretch and Leslie Layton, who assisted Dennehy, were both charged with various crimes for their roles in helping her. Layton was sentenced to a total of 14 years and Stretch was sentenced to a life in prison with a minimum of 19 years. Dennehy is certainly in the right place and should never be released. Having seen clips of her after her arrest, laughing and making jokes whilst in the police station, she certainly didn't seem to have any remorse. She seems to be able to make men do her bidding and has a hold over them. She targeted only men and was believed to have said she wanted to kill more, but wouldn't kill women. I think if she was ever released she would hurt more people. I feel so sorry for not only the victims loved ones, but also Joanna's poor children who will have to grow up knowing what their mother has done. I would love to hear your views on this case, let me know in the comments.